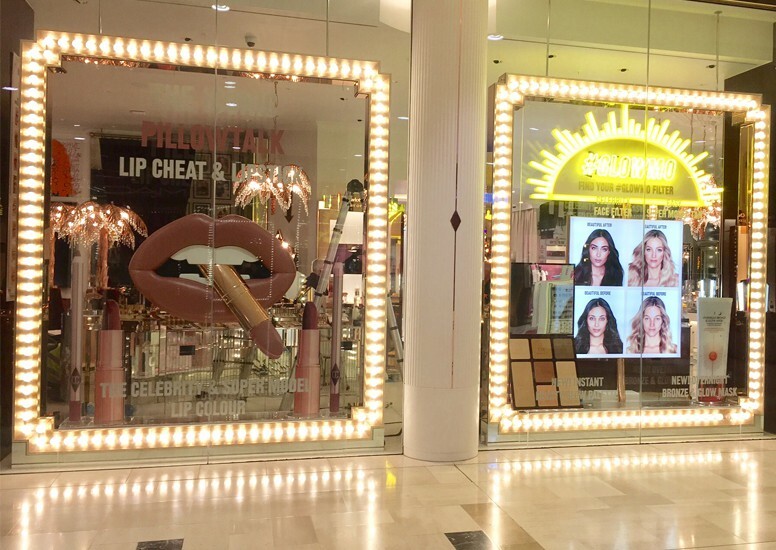 Following on from our spectacular Legendary Brows windows back in February, D4R have recently installed new window displays for Charlotte Tilbury in the Covent Garden and Westfield White City boutiques. The latest campaign #GLOWMO is a new range of Charlotte Tilbury products created to ensure that every man or woman feels and looks glowing! The promotional window displays feature a neon style half-sun with the hashtag #GLOWMO for the brands strong social media following. 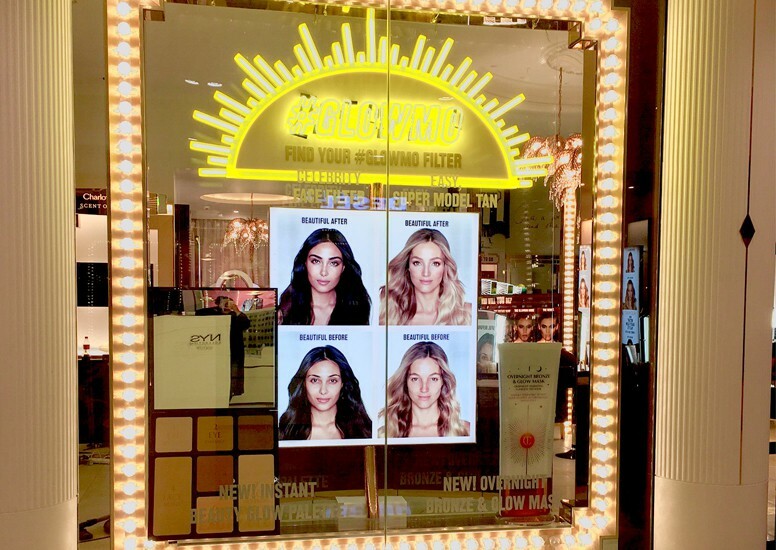 A lightbox with before and after images – reminiscent of the Legendary Brows displays – highlights the benefits of the product with glowing sun-kissed faces! Oversized GLOWMO products can be found just beneath this lightbox, aiding customers in heading straight to the new products when they venture in-store. Surrounded by the iconic Charlotte Tilbury lighting, the new windows shine bright with echoes of summertime. 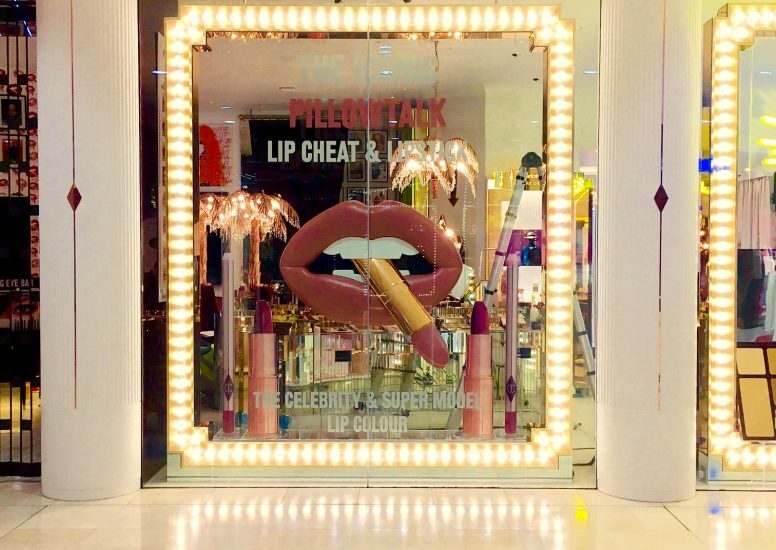 As well as the latest #GLOWMO window, the D4R team also installed window displays to promote the newest Charlotte Tilbury lipstick: pillowtalk! Statement lips clutching the latest lipstick dominate the window display, with oversized lipsticks and co-ordinating lip liners sitting just below. Vinyl’s promoting the product’s admiration across celebrity and supermodel clientele also bolster the lipstick. 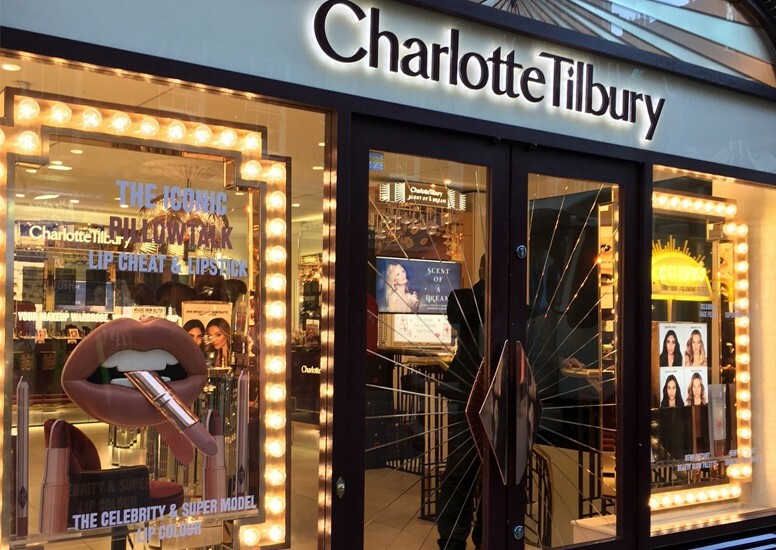 Charlotte Tilbury stores certainly know how to capture an audience and D4R are pleased to have collaborated with the brand on these projects.